When the sun makes the outside weather too hot to bear, air conditioners allow you to escape the heat. They keep your rooms cool so you can relax and destress. 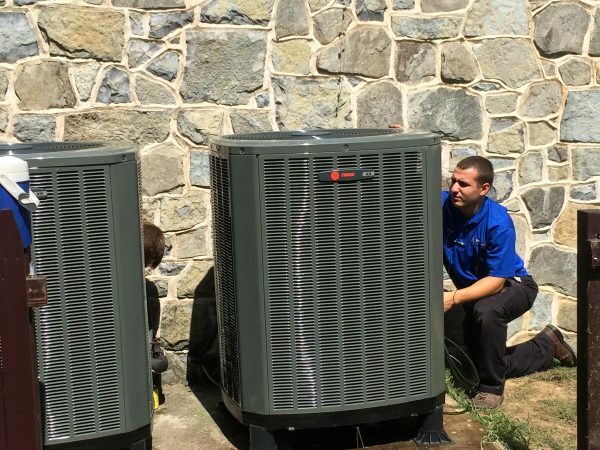 If you live in the Berks County area and need a new air conditioning system installed, B&L Ott can help. These parts work together to remove warm air from the home. After removing the air, these components cool the air and send it back into your home. This process repeats until the optimal temperature is reached. When you schedule an appointment, one of B&L Ott’s technicians will visit your home. They will ask questions to learn more about your air conditioning needs. If you are replacing a system, they will help you determine the best upgrades to suit your lifestyle. If you are installing a new system, they will begin to calculate and plan the work that needs to be done. When purchasing a new air conditioner, there are many variables to consider. There are different quality levels, efficiency levels, costs, sizes, and features. B&L Ott knows that the process can seem overwhelming. That is why a B&L Ott technician will also help you choose which model best suits your lifestyle and needs. With an extensive knowledge of brands and models, B&L Ott will match you with the best system that suits your comfort expectations. We will keep your budget in mind and offer models within your price range. One of B&L Ott’s technicians will also briefly explain the installation process for you. They will also address any questions or concerns you may have. B&L Ott will make sure your air conditioner is installed right the first time. We offer quality centralized and individual unit installation services. Contact B&L Ott today with any questions about air conditioning installation or to request service. Let’s Talk About Your AC Needs!